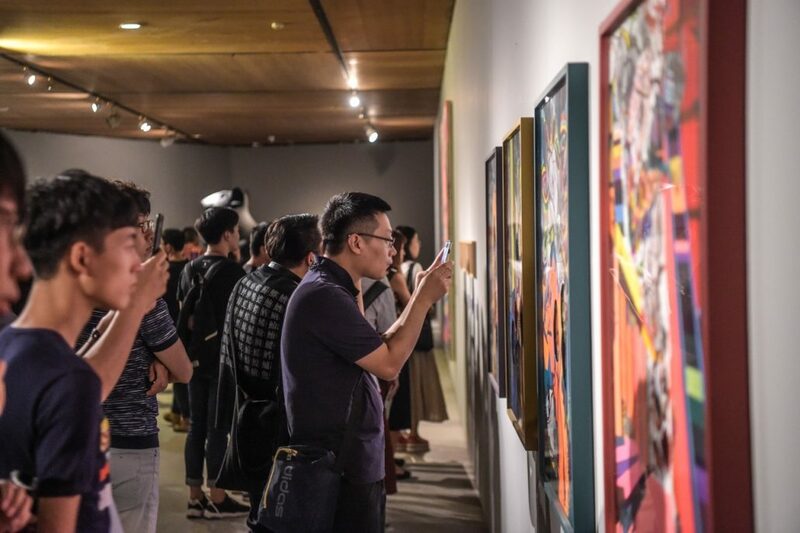 Deutschland 8 - German Art in China | Stiftung für Kunst und Kultur e.V. 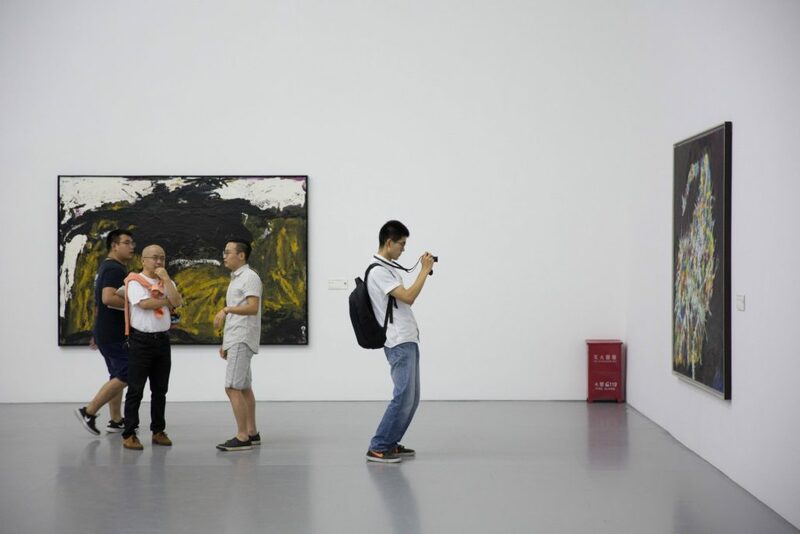 55 artists, 320 works, eight venues: “Deutschland 8” is the most comprehensive exhibition of modern and contemporary German art in China to date. 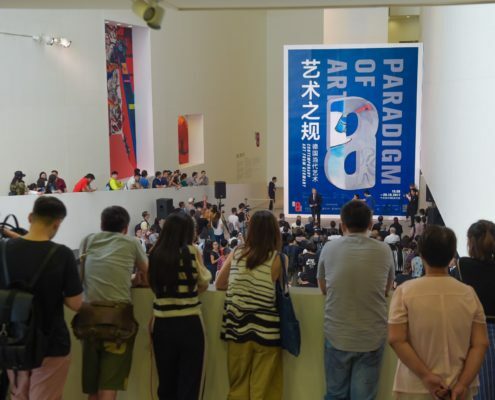 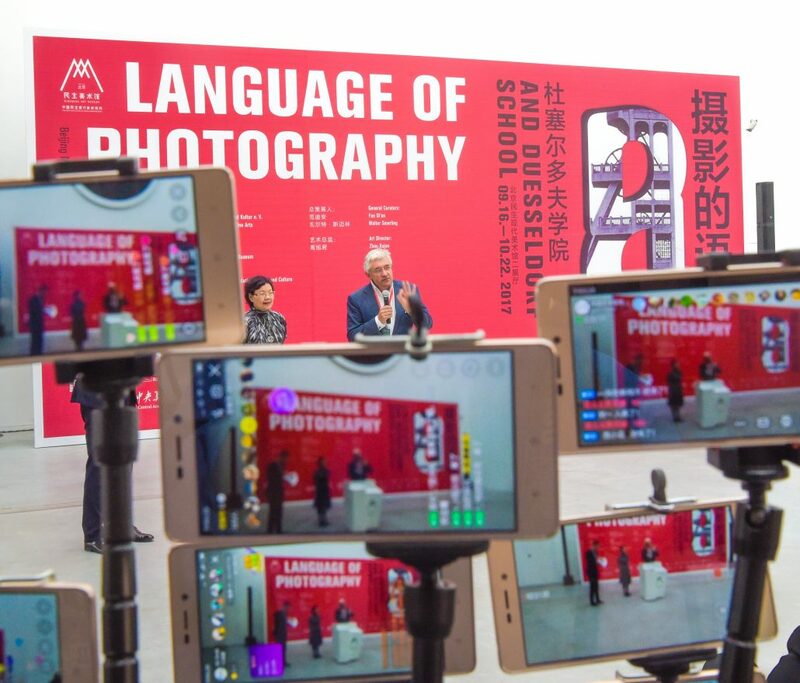 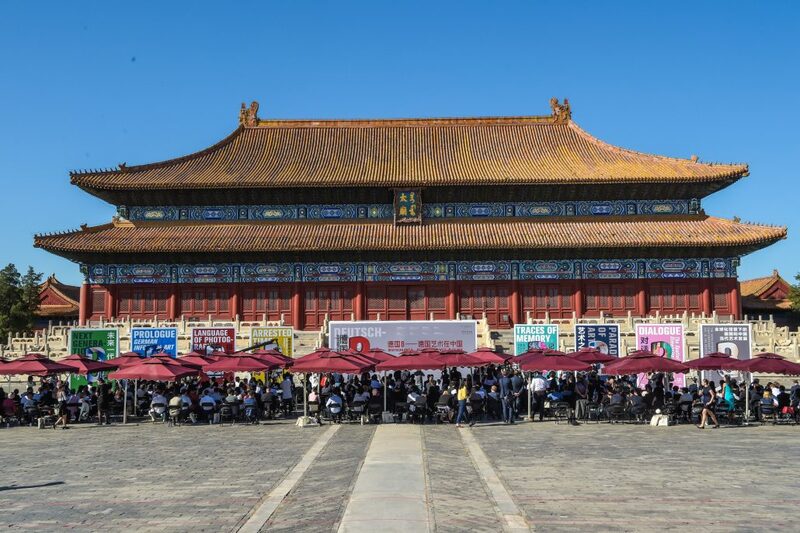 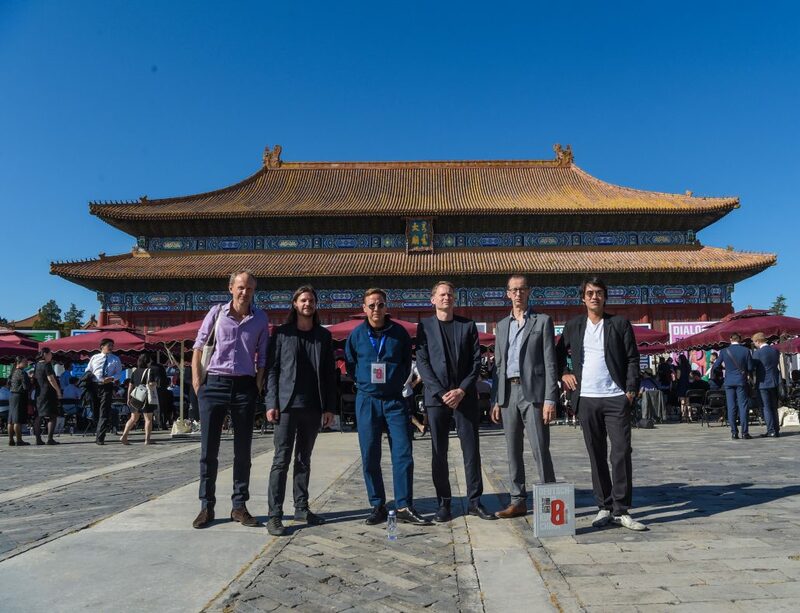 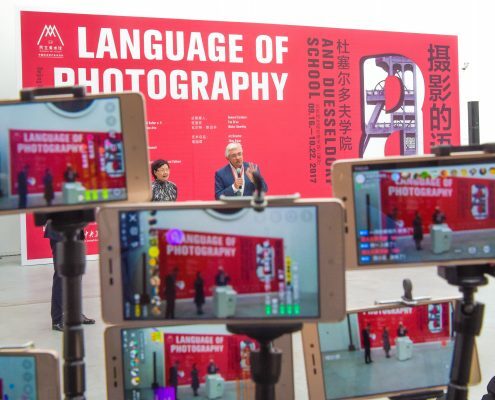 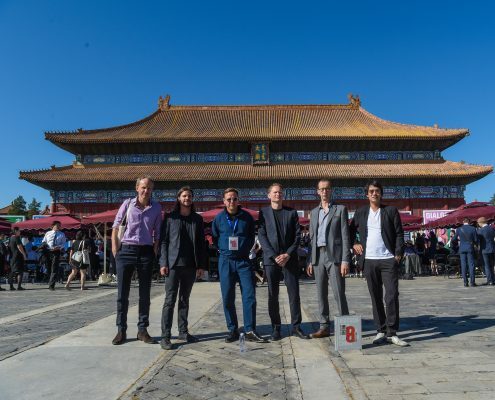 The presentation in Beijing attracted some 750.000 visitors in just six weeks, and generated overwhelmingly positive media coverage in both countries. 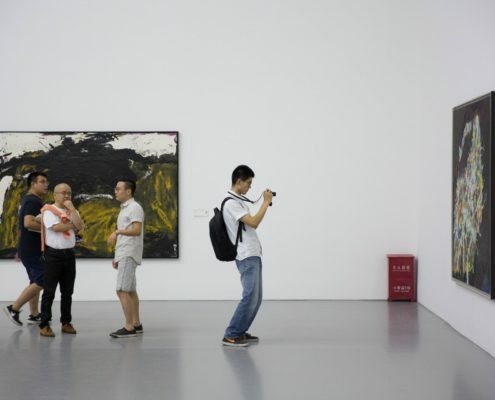 Even for a city of art enthusiasts such as China’s capital, this represents a remarkable response. 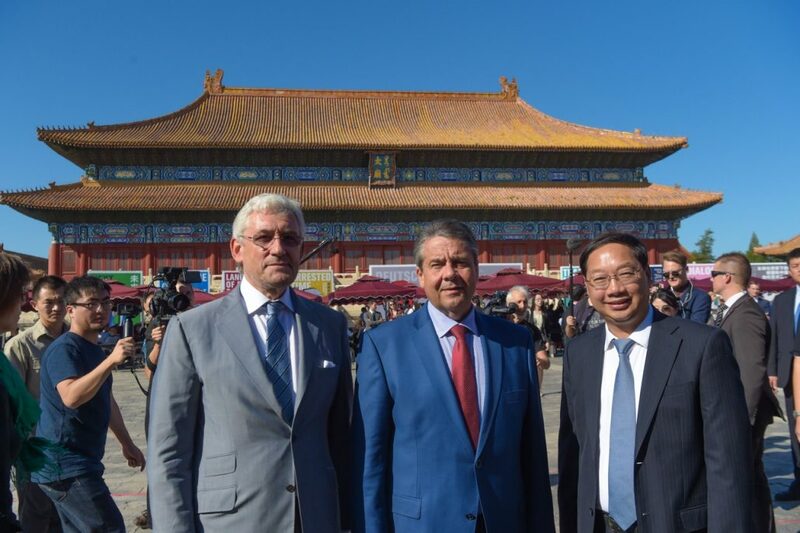 Both countries have hailed the exhibition as an important initiative in promoting intercultural dialogue between Germany and China. 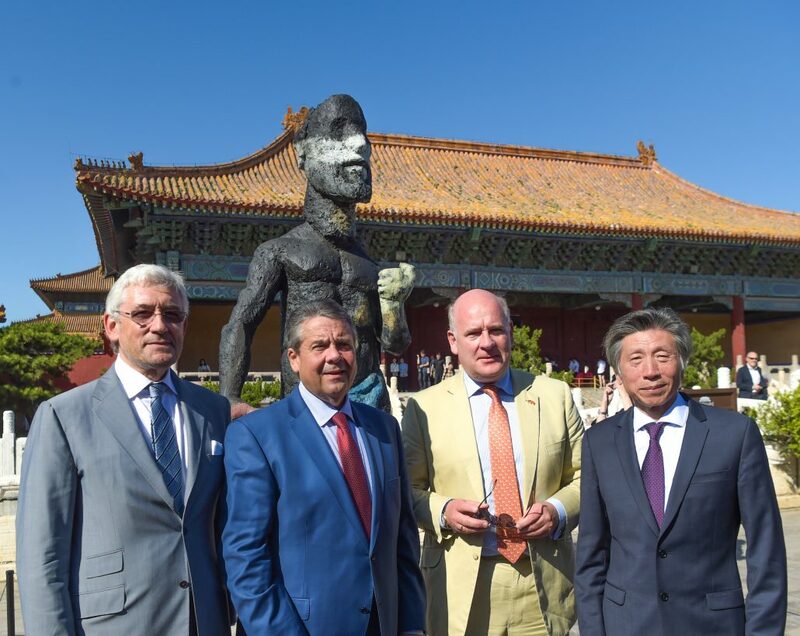 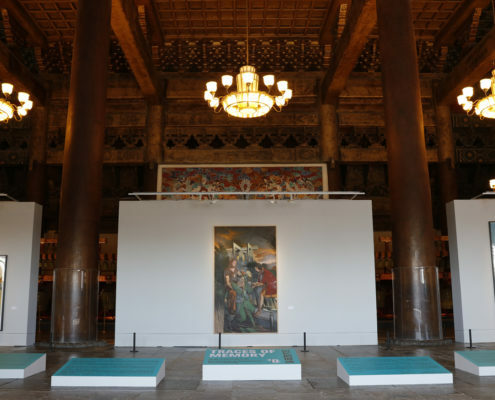 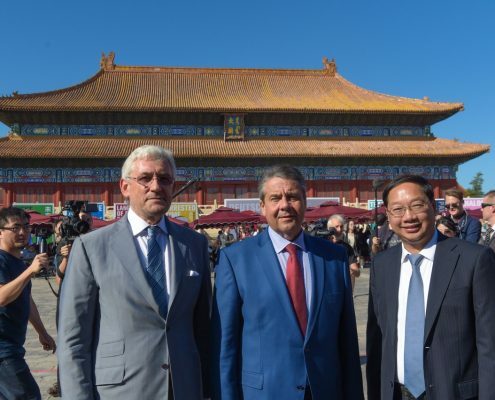 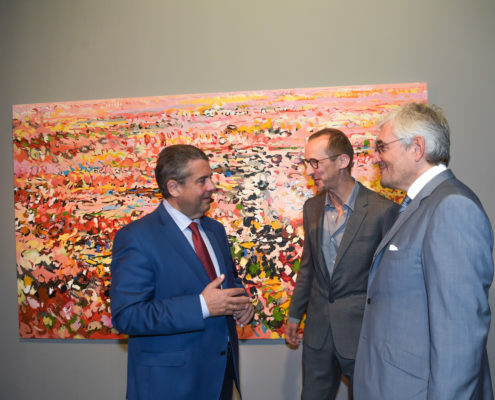 On September 17th, German Minister for Foreign Affairs Sigmar Gabriel and China’s Minister of Culture Luo Shugang commonly inaugurated the exhibition. 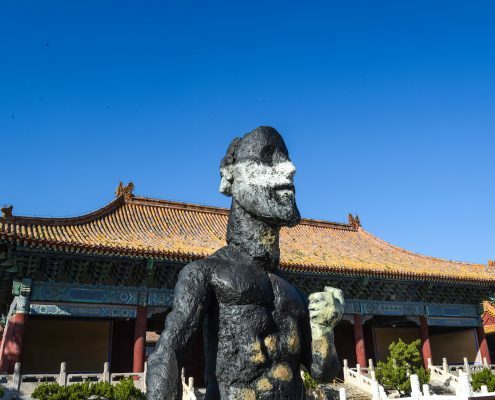 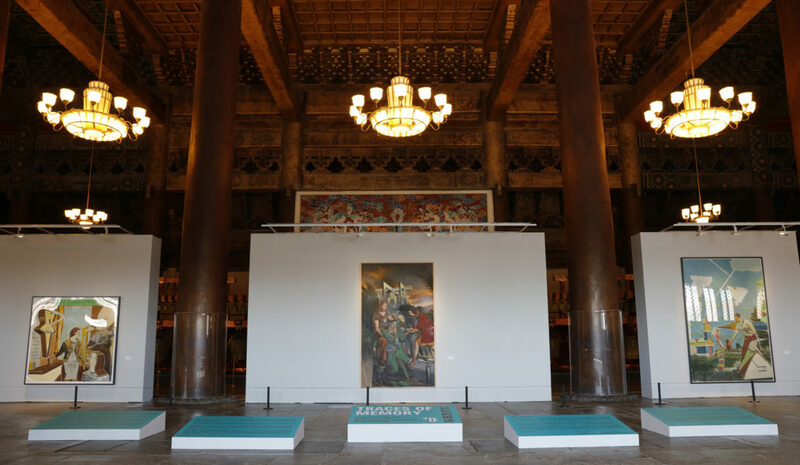 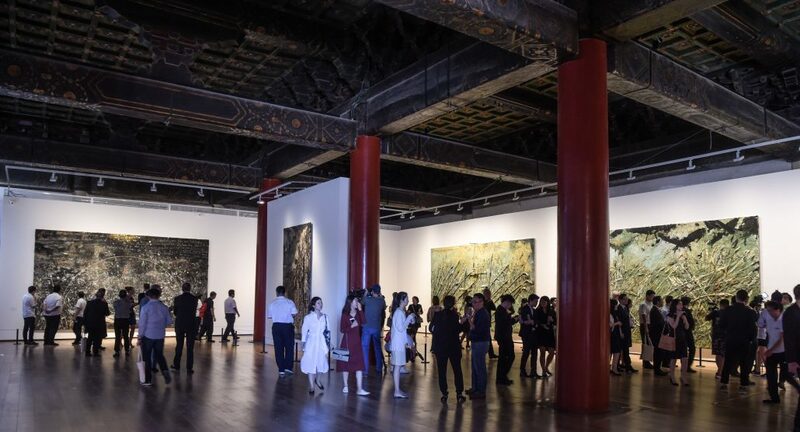 For the first time Beijing has opened its Imperial Ancestral Temple to western contemporary art. 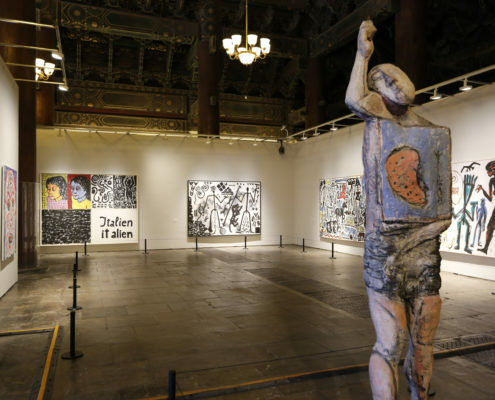 The choice of works from across seven decades attests to the diversity of the German art scene: “Deutschland 8” is intended as an ‘expedition into a cultural continent’ forged by German artists since 1945. 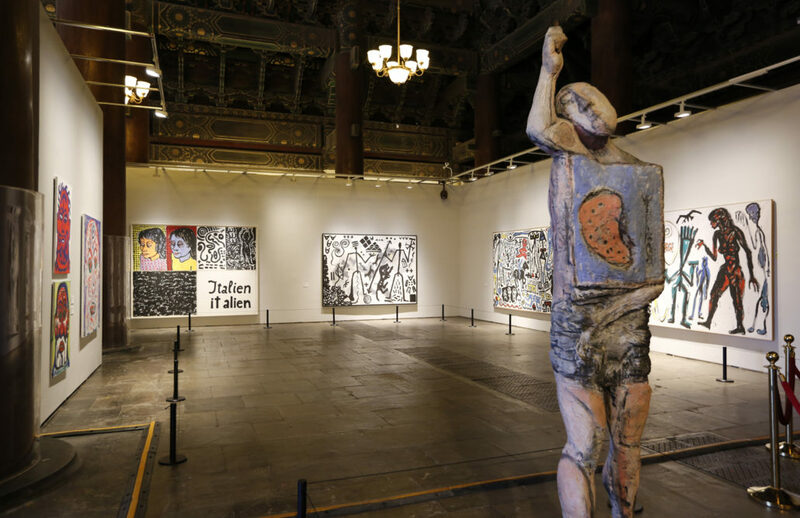 Boasting a broad spectrum of media and themes, the show juxtaposes globally acclaimed and internationally less well-known positions. 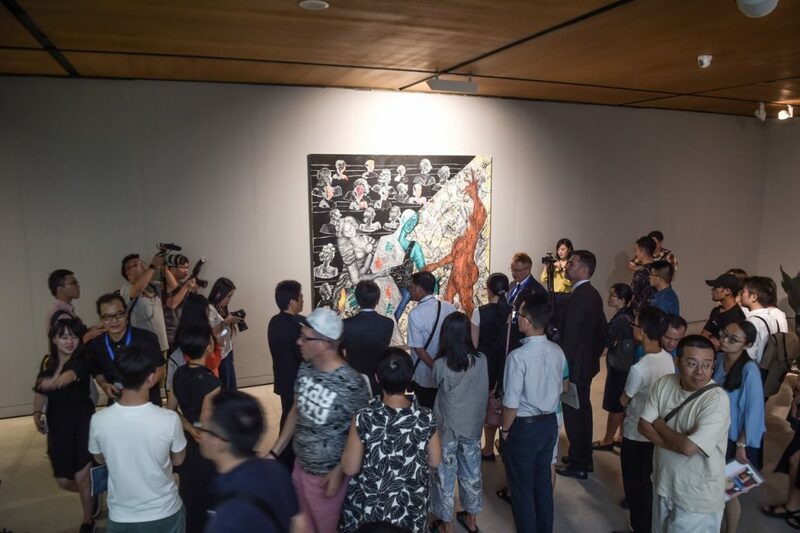 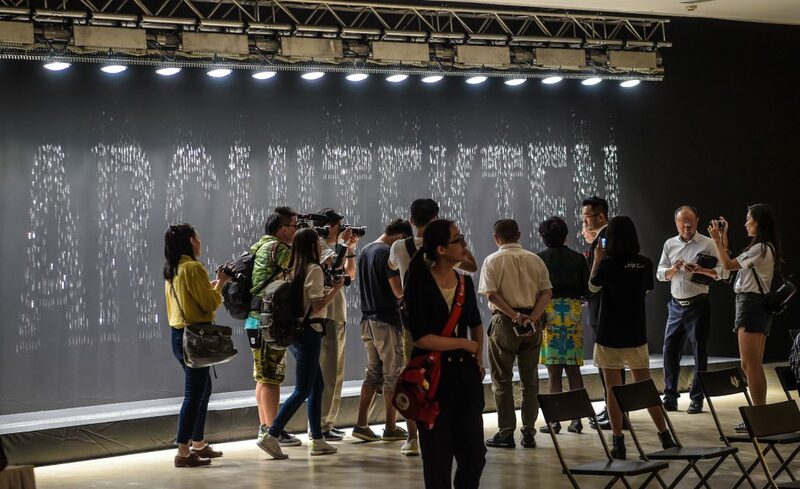 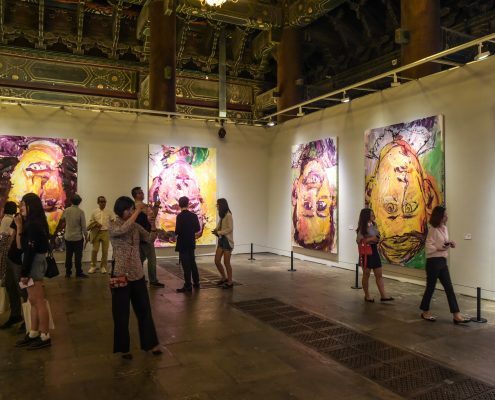 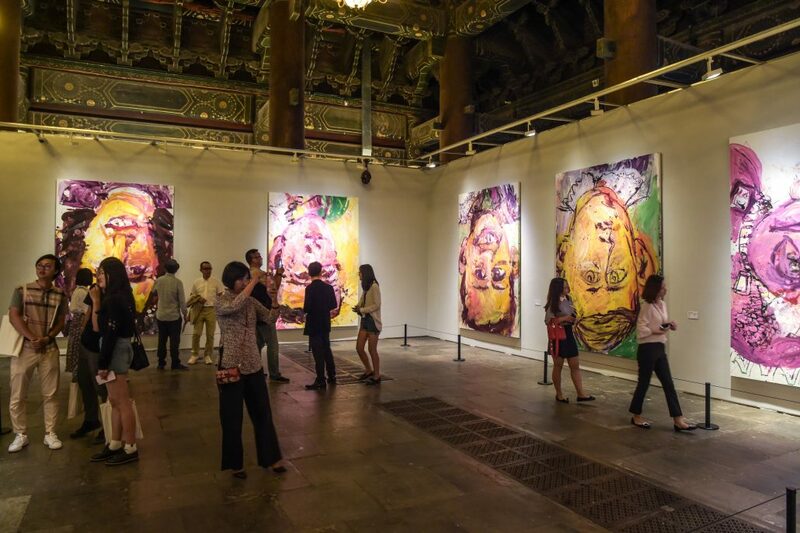 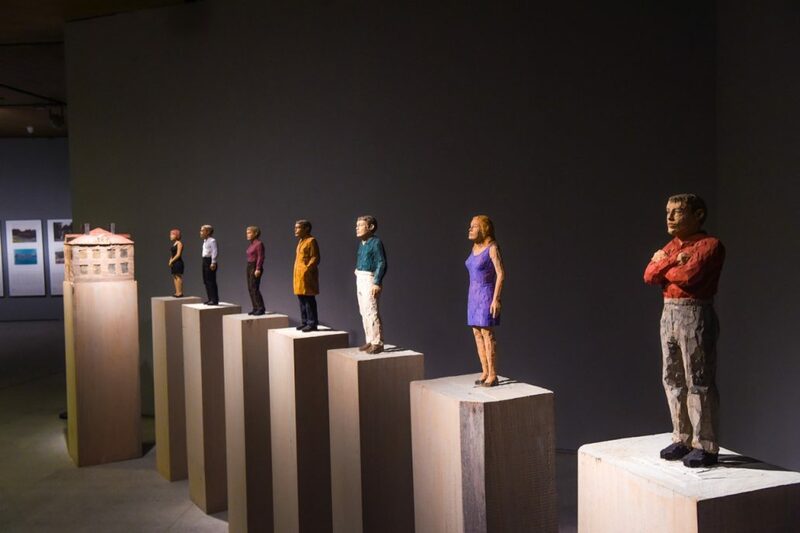 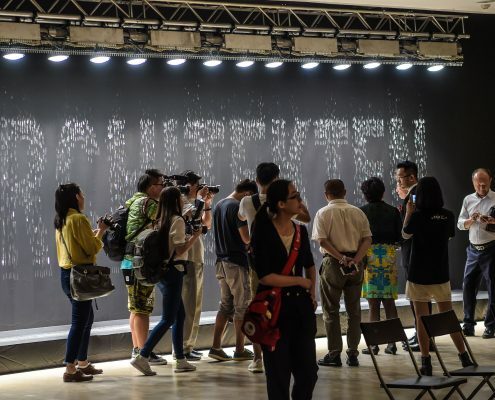 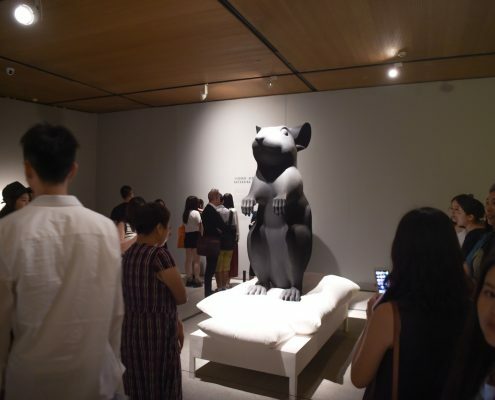 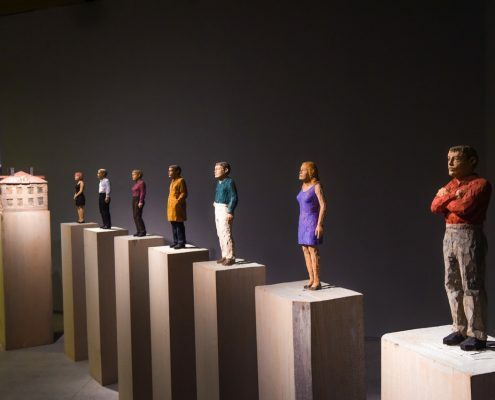 The show is conceived as a response to “China 8“, the up until now largest exhibition of Chinese contemporary art, which was staged across 8 cities in the Rhine and Ruhr region in 2015. 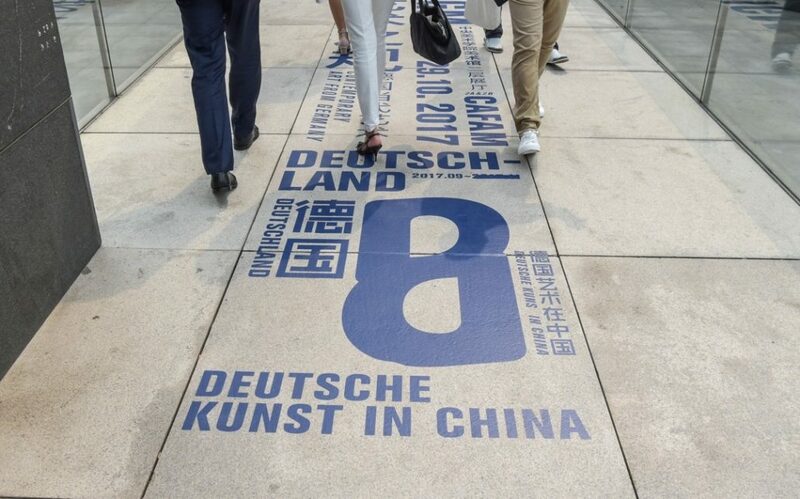 Joint organisers comprise on the German side the Foundation for Art and Culture, Bonn and on the Chinese side, the Central Academy of Fine Arts Beijing. 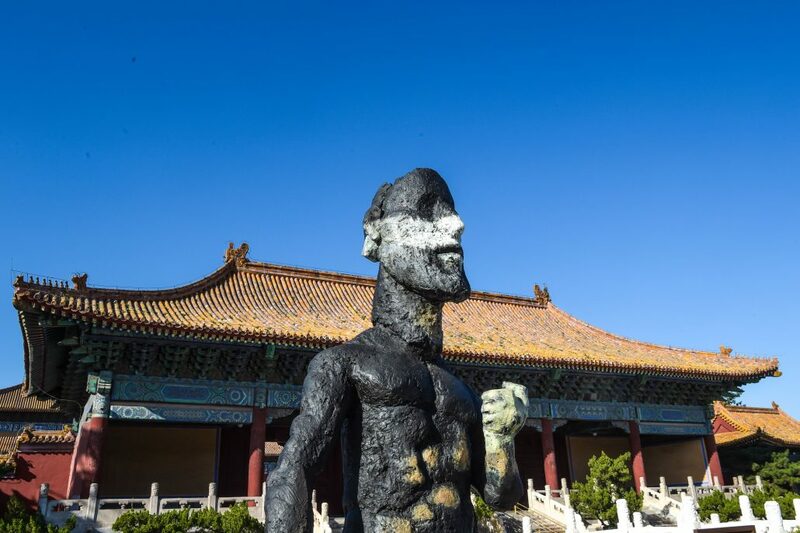 The Tai Miao, formerly the Imperial Ancestral Temple and gateway to the Forbidden City, forms the heart of exhibition. 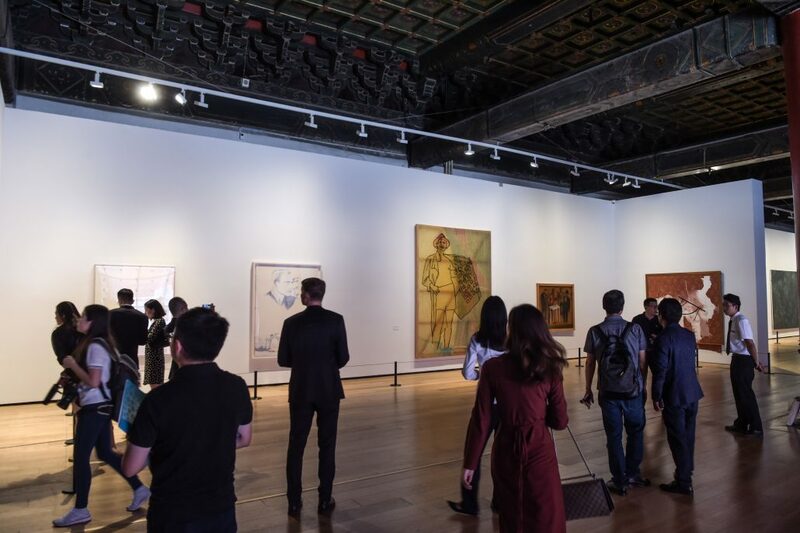 On show here are paintings by the generation of post-war artists who abandoned pure abstraction to establish themes dealing with the Germany’s past and its collective memory, and whose works have been exhibited and garnered acclaim worldwide, above all Joseph Beuys. 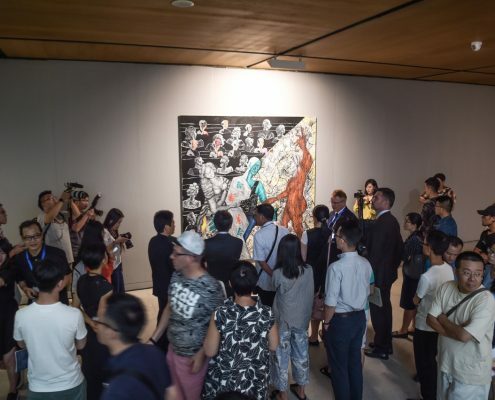 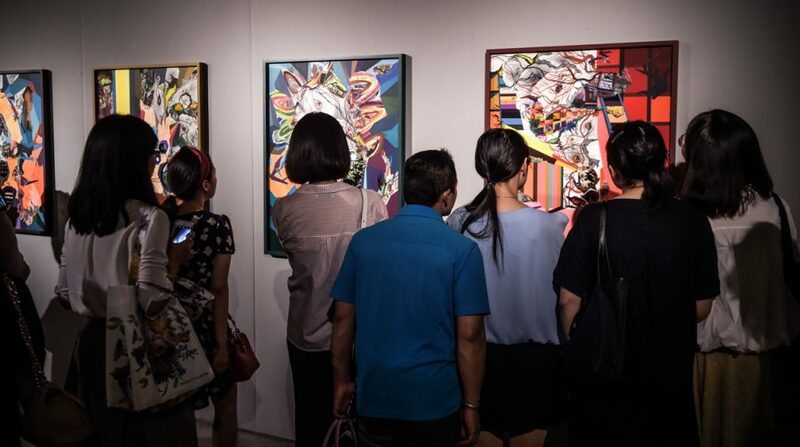 The Museum of the Central Academy of Fine Arts is showcasing the extraordinary diversity of subject matter, approaches and visual languages within the German art scene, and unveils positions which hitherto have remained largely unknown in China. 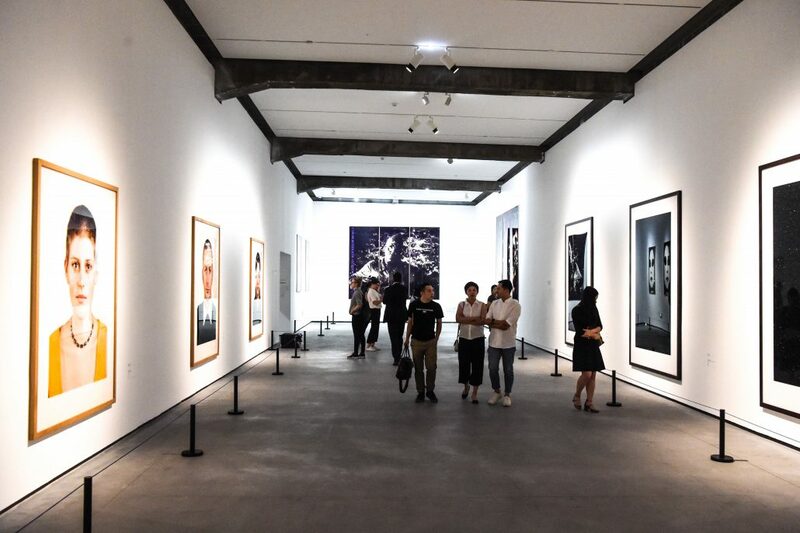 Contemporary photography from Germany is on show in the Minsheng Art Museum. 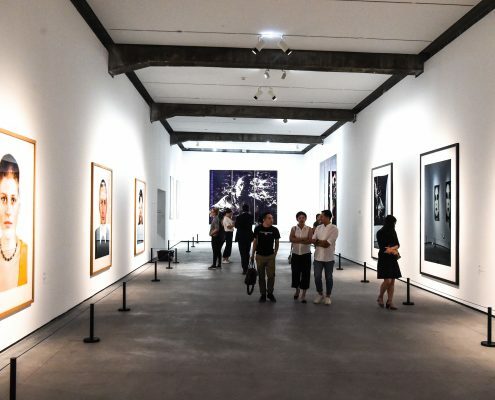 Here the main focus lies on the enduring influence of Bernd and Hilla Becher and the highly diverse array of positions adopted by several of their famous students, both in technical and thematic terms. 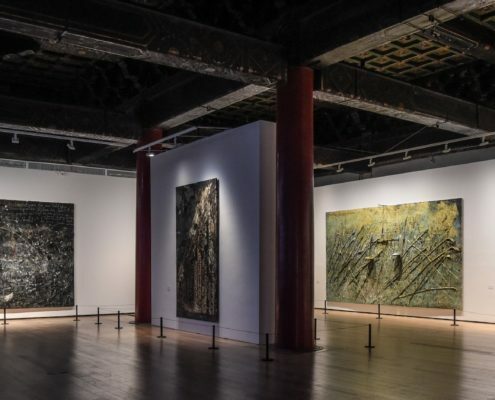 Setting out to trace the roots of German post-war art, the Red Brick Art Museum hosts an exhibition of Informel and abstract art. 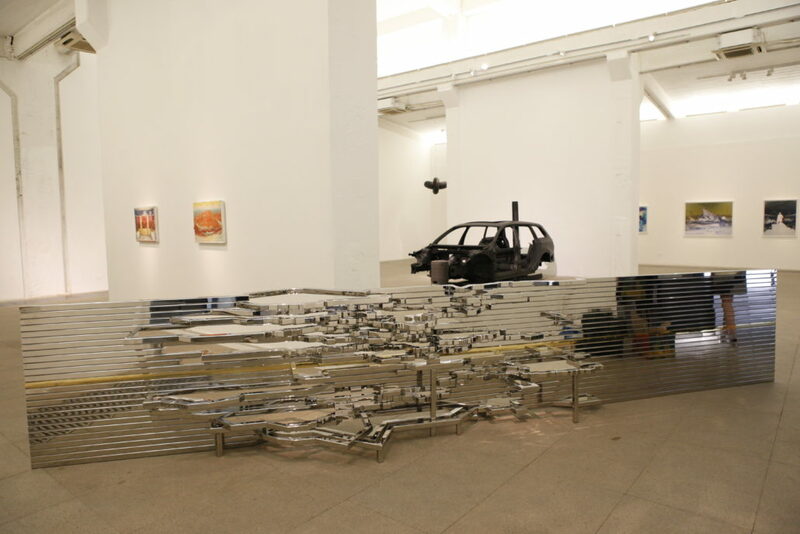 The featured artists serve as paradigms for Germany’s contribution towards establishing “abstraction as a world language” and for the country’s new beginning following the watershed of the Second World War. 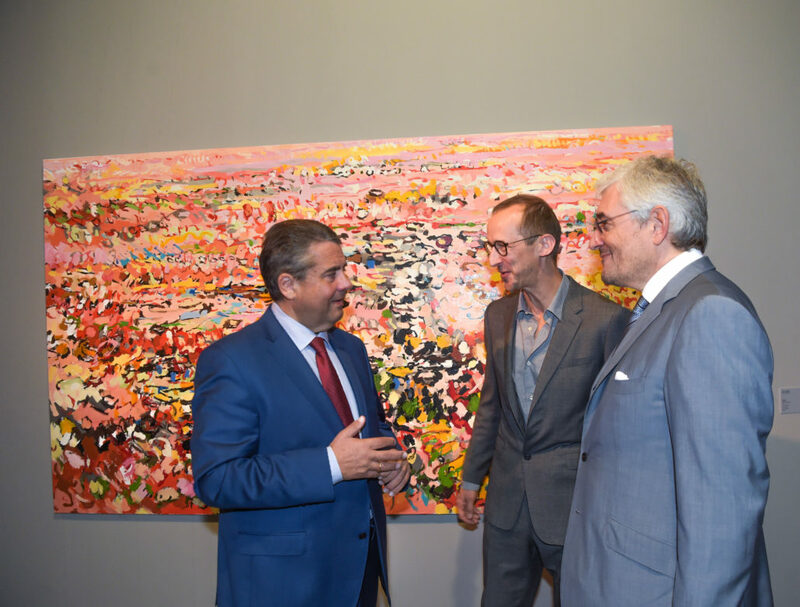 Media expert Peter Weibel, Director of the Karlsruhe Centre of Art and Media Technology, is curator of this show in the Today Art Museum, which highlights the tremendous diversity of the German media art scene. 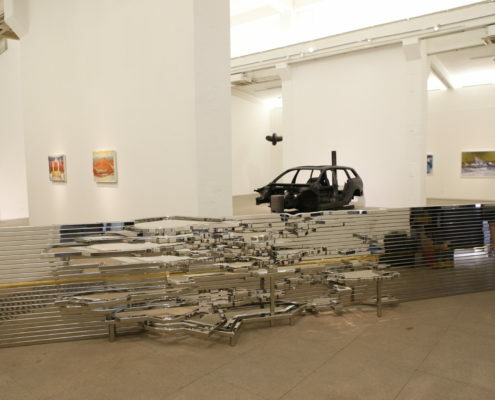 Outlook: The Whitebox Art Center is showing selected individual positions of recent and contemporary from Germany. 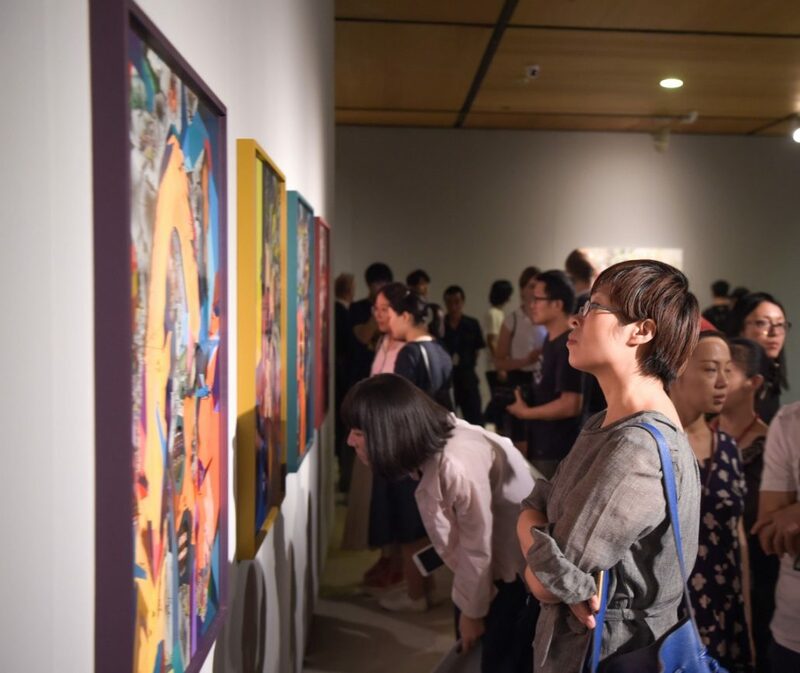 The Yuan Art Museum is extending an open invitation to observe a teacher-student dialogue, traditionally of great significance in Chinese art. 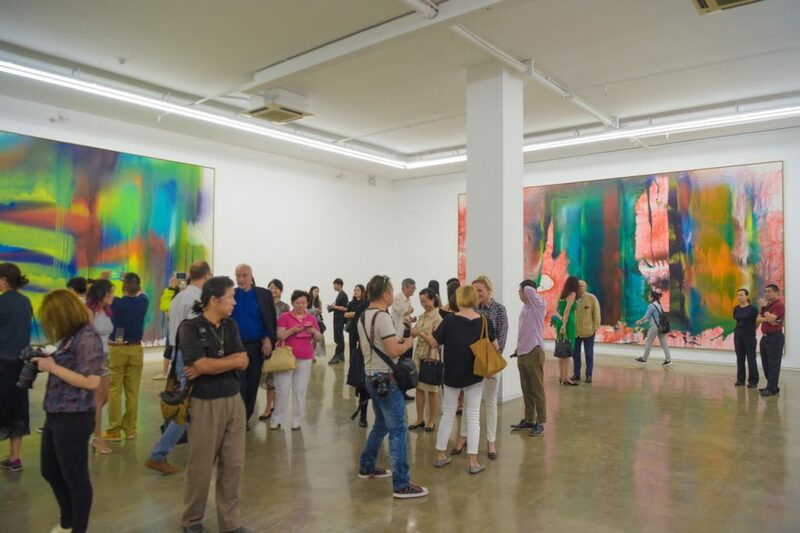 Here paintings by Katharina Grosse are juxtaposed with works by her former teacher Gotthard Graubner. 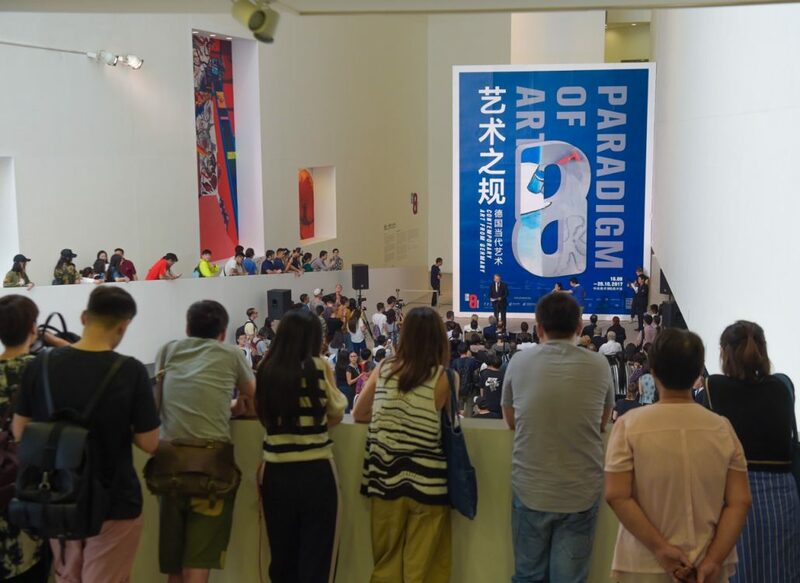 The eighth venue is a symbolic exhibition, assuming the form of a symposium, which serves to underscore the significance of public discourse for art. 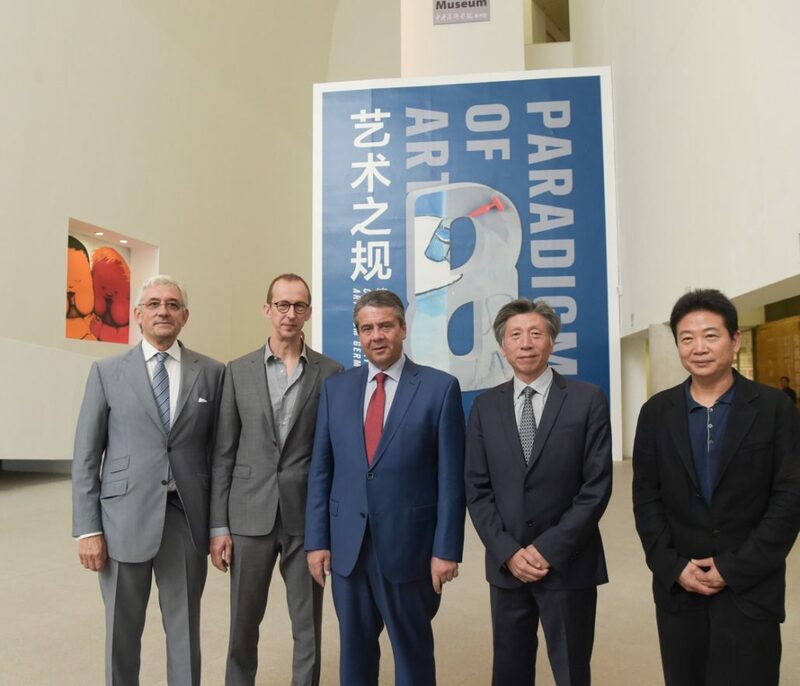 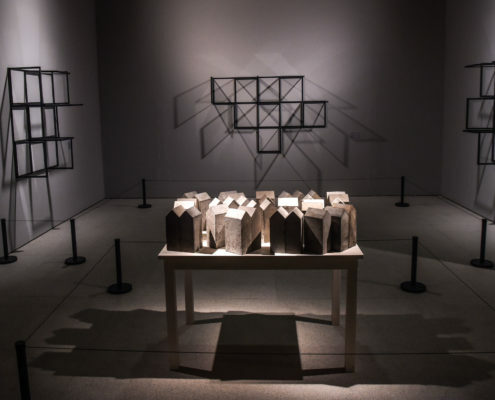 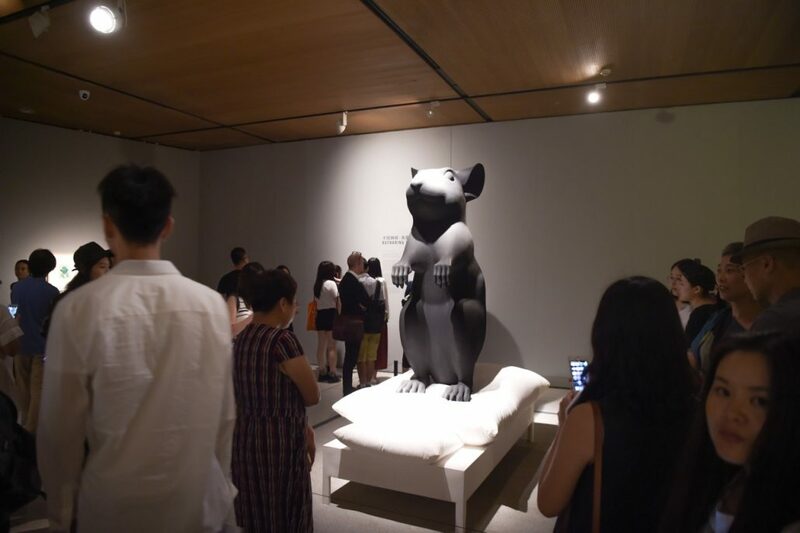 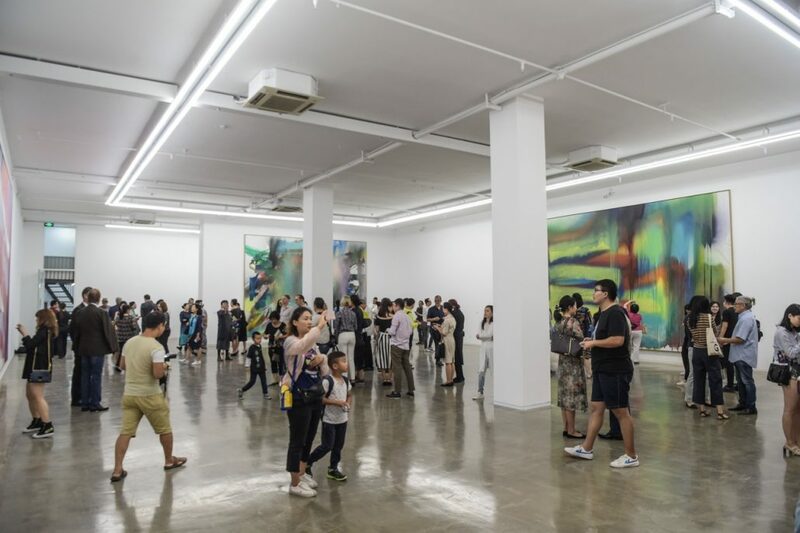 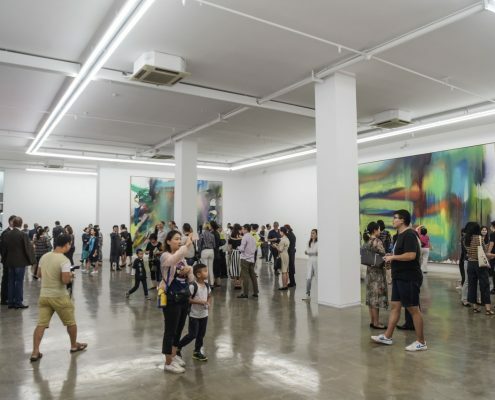 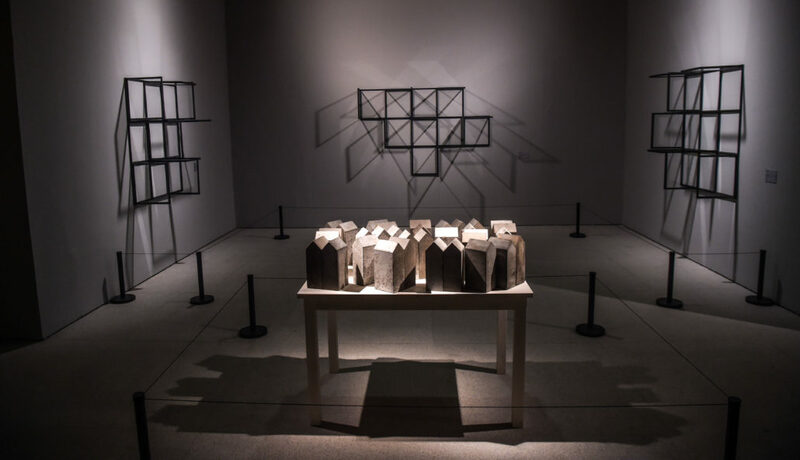 With this event, which seeks to place contemporary art from Germany and China in relation to each other, the curators have elevated intercultural dialogue to one of their key objectives of the exhibition, which warrants a venue in its own right.